I have been an assistant for more than 16 years and have been with Dr. Theurer since 1997. After interning for Dr. Theurer, I realized how much fun it was working with him and patents who loved seeing the difference with their smiles. My favorite aspect of orthodontics is seeing patients’ teeth change into happy smiles and how much fun our patients are. Our staff is a big family and watches out for each other. I am married and have two daughters, three dogs, and cats. Originally from Cerritos, I have lived in Lancaster since 1980. 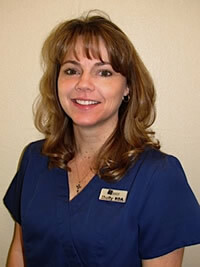 I have been an assistant for more than 18 years and have been with Dr. Theurer since 1998. My biggest job is to help scared, nervous patients leave with a big smile and a new set of braces. My favorite thing about orthodontics is seeing the braces come off and the look on patients’ faces with their new BIG smiles and the confidence they now have. 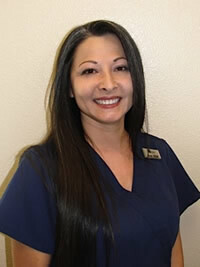 I enjoy the new friendships and the conversations I have throughout the day with our patients. My profession is not only the way to provide for my family, but every day I leave work knowing I made someone’s day great. I am married and have three boys and Merlin, our dog. I have lived in Lancaster all my life. 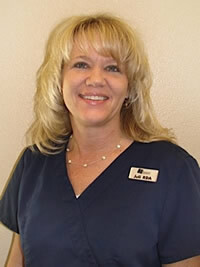 I have been in orthodontics for more than 33 years and have worked for Dr. Theurer since 1996. I originally thought orthodontics was a fun profession because people come in wanting straight teeth and not so much for aches and pains. I enjoy seeing our patients’ teeth turn into great smiles and love to hear what they enjoy doing and the stories about their lives. Dr. Theurer is great to work for! He stays positive and is never critical. We have all worked here a long time and are a great team. I am married and have three children along with two dogs. I am originally from Storm Lake, IA, and moved to Lancaster in 1963. 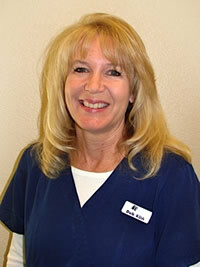 I have been in orthodontics for 30 years and have worked for Dr. Theurer since 1989. I really love getting to know our patients. I enjoy finding out what is going on in their lives, and all the activities, sports, dances, and plays that they have while they are in braces. I especially like meeting them outside the office because it feels like they are friends. The team I work with is great, and we have such great times together. Dr. Theurer is a lot of fun to have been around all these years. I am married and have four children. I also have two dogs and a cat, but my dog, Fatty, is my favorite! I am originally from Ventura, and moved to Lancaster in 1973. 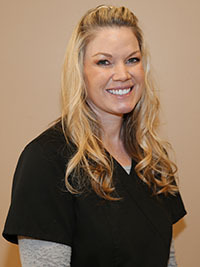 I have been in orthodontics for more than 15 years and have been with Dr. Theurer the entire time. 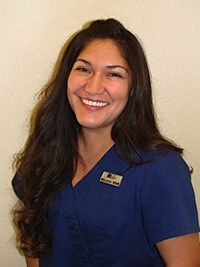 I most enjoy patients coming to the office excited about what we are going to do to enhance their smiles. I enjoy becoming a part of our patients’ lives and hearing their stories. I love coming to work and being with my friends. We share our lives, family, and tears, just like a family. Dr. Theurer is so much fun to work for; he always makes our day exciting and full of laughs. He takes time to answer our patients’ questions and enjoys being a part of their lives. I have two boys and a dog named Kona. I am originally from Long Beach, and have lived in Lancaster since 1992. I have been working in orthodontics for more than 27 years, and I’ve worked with Dr. Theurer for 20 of those years. When I was young, I loved going to the dentist and always knew I wanted to work in the dental field. My favorite thing about orthodontics is that I get to provide patient care in an atmosphere that is both fun and professional. I enjoy watching our patients’ self-esteem and confidence build as we create beautiful smiles and help them get over any dental fears they have. Our team is special because we have worked together for so many years. We know how to support and encourage each other. It is like an extended family. I am married with three children and have lived in Lancaster all my life. 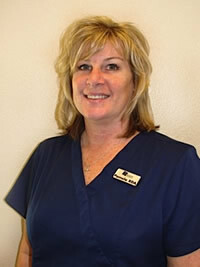 I have been in orthodontics for more than 26 years and have been with Dr. Theurer for 11 years. I found I could use some of my artistic talents when making retainers. It is always fun to combine something you enjoy doing with helping others, like keeping teeth straight with a retainer. I really enjoy knowing that we are helping patients improve their oral health and improving their self-esteem. I like listening to our patients’ stories about school, the weekend, new adventures, vacations, or just hearing about their favorite TV shows or movies. Our patients have become our extended family. Dr. Theurer and the entire staff enjoy joking, teasing, laughing, and having fun all day! I am married with one daughter and three grandchildren! I am originally from Arizona, but have lived in Lancaster since 1971. I have worked in the field of orthodontics for more than 20 years and have been with Dr. Theurer for the last 18. I really enjoy getting to know our patients and sharing their lives with them. My favorite thing about orthodontics is seeing the great smiles that our patients get from their braces. I have two children and three pets. I have lived in Lancaster since 1978. Please click here to schedule an appointment with Theurer Orthodontics!